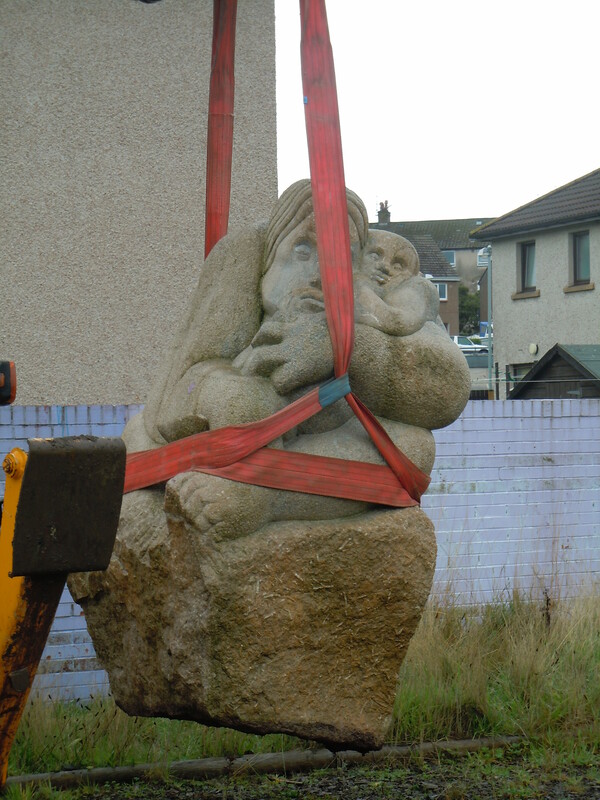 Hart Construction kindly came to NEA today to help move the sculpture from the front of the garden towards the back. The sculpture will eventually be a part of the new bouldery and stumpery in the new garden. Scott and Dale from Acorn Contractors will be on site today digging its final resting place, ready for Hart to come back next week and put it in position. 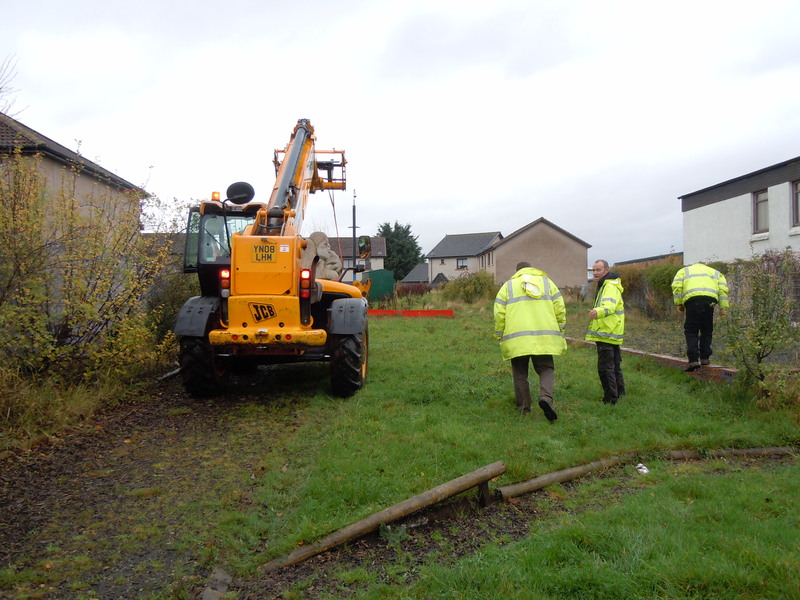 This is the very start of the work in the garden – more coming soon! 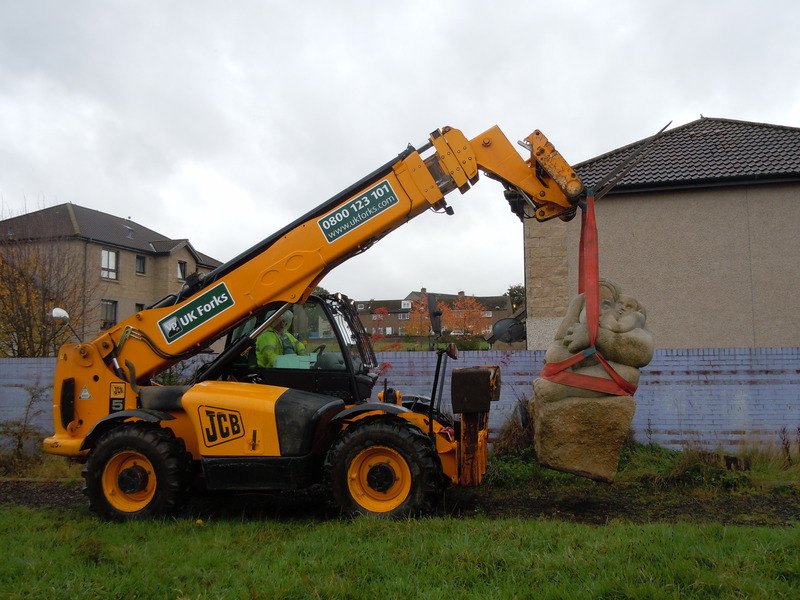 Exciting to see work starting on the North Edinburgh Arts garden – with the re-siting of a giant stone sculpture!